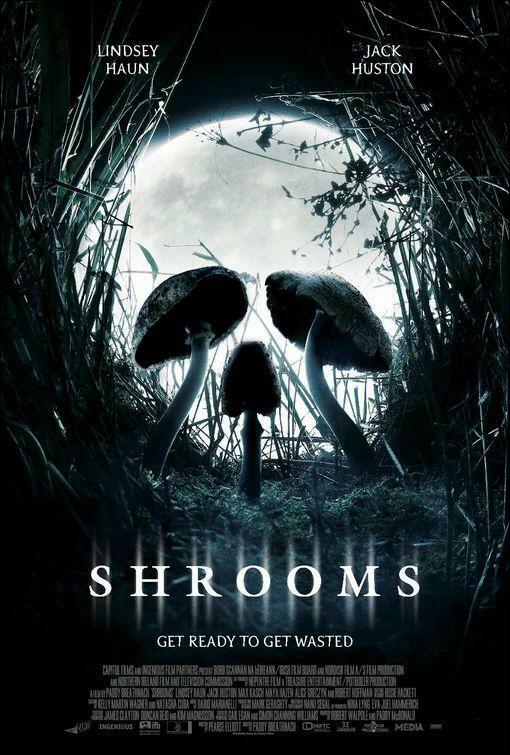 Shrooms is a movie about a group of Americans that come to Ireland to trip balls. Things go wrong when a girl in the group eats the dreaded Death Cap Mushroom. This is what the movie really centers around, especially when people start popping up dead around her. I think that this movie is unintentionally funny, it has some really laugh out loud parts. One of the funniest parts has to do with a cow, you would have to see the movie to understand it. The movie is still pretty new and I don't want to spoil anything for you. I will how ever tell you that I actually enjoyed this movie from beginning to just before the end. There are a lot of people out there that think that the movie was ruined by the ending, yet I think that the movie overshadowed its ending. Even though the movie as a whole isn't that good. The movie has a pretty decent amount of blood, and just the right amount of creepiness. I think that with the right writer and director this movie could of been amazing. Oh, and a better cast. If you are looking for a movie to watch with your friends or a girlfriend/boyfriend. I would recommend picking this one up. I am pretty sure that it will always be available on the rental wall. I guess that the lesson that the movie tries to put across is, "Stay away from Psychedelics." I am going to go ahead and give Shrooms a 5 of 10. It was better than I expected, that is always a good sign.